HMAS ANZAC, one of Australia’s 3,600 tonne Anzac Class frigates, has commenced maritime operations in support of Combined Maritime Forces in the Middle East and the ship’s company are off to a busy start. Conducting a community service port visit in the Seychelles the crew spent time with the islands’ youth and elderly. It was a great experience for all said Mr. Gerard Edmond, Chairperson of the Plaisance Home for the Elderly. “On behalf of the residents, I would like to say a warm thank you towards the Australian Consulate for Seychelles for having facilitated the voluntary community work by HMS ANZAC’s crew. The elderly really appreciated the presence and generous gesture of social responsibility” he said. 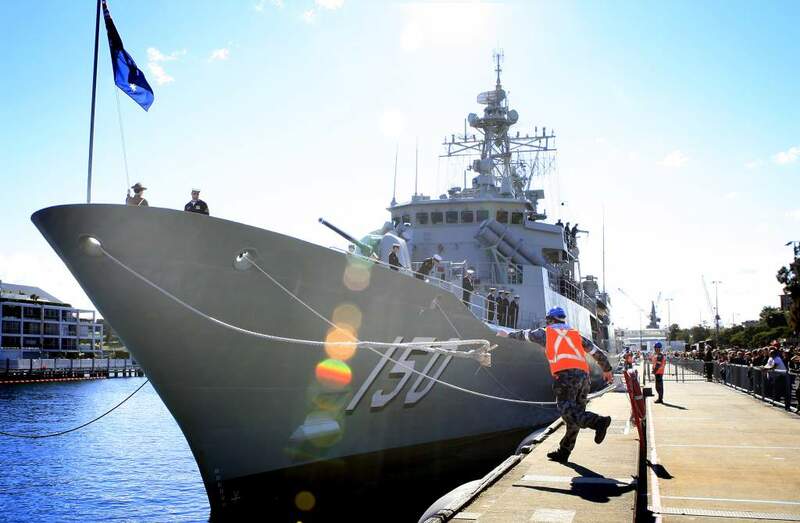 Following the three day port visit, HMAS ANZAC commenced anti-piracy patrols as part of Combined Task Force 151. The capabilities of Anzac are ideally suited to maritime security operations said Commanding Officer, Commander John Stavridis. “Our suite of surveillance radars, the embarked helicopter and our state of the art weapons systems means we are well suited to this type of operation,” he said. But the equipment doesn’t manage itself. “I have such a professional, capable and motivated team. They worked exceptionally hard in our training phase before arriving here, and they are continuing to dedicate themselves to the mission,” said Commander Stavridis. The teamwork on this mission though will extend beyond the decks of the Australian frigate, as the ship’s company of HMAS ANZAC are part of a bigger multi-national team. “We are part of a 26 member nation team, and HMAS ANZAC is eager to work with and learn from our international team mates, and together increase maritime security and prosperity of the region,” he said. HMAS ANZAC will be utilised for the conduct of operations with Combined Task Force 150, 151 and 152, operating within the Middle East Area of Operations. Whilst on tasking, Anzac will contribute to maritime security, maritime interdiction, counter terrorism and counter piracy operations. They will also conduct regional engagement and Gulf state cooperation to further Combined Maritime Forces and Australian Government aims.